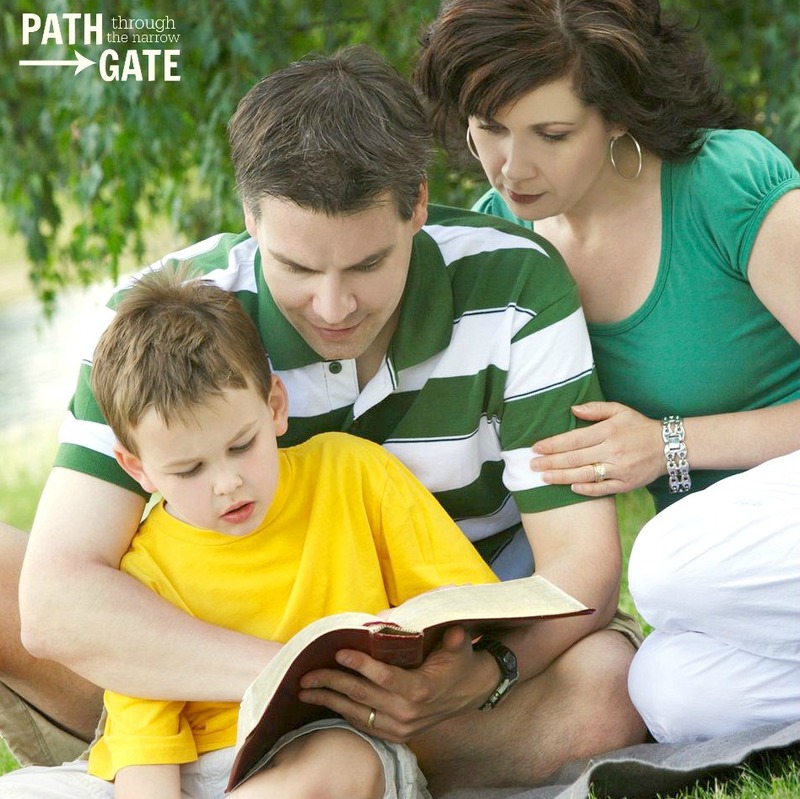 Have your children ever asked you if they are really, truly saved? My children have asked me! How can we answer them? Should we assure them that they are saved because they prayed the “sinner’s prayer” when they were younger? What if that prayer didn’t “take”? If we are honest, many of us adults struggle with doubts about our salvation. 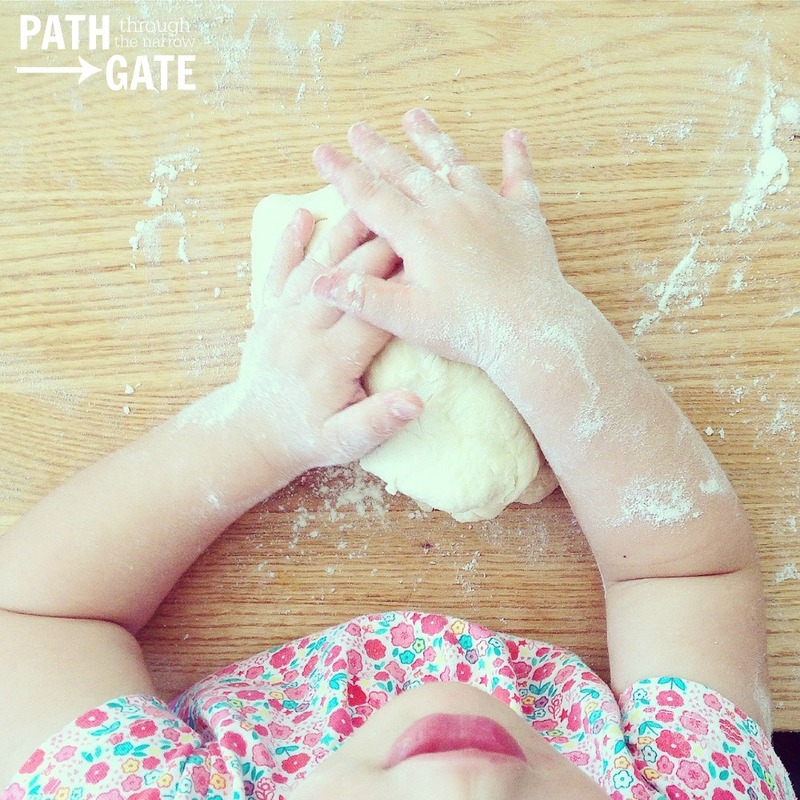 How can we guide our children as we talk about this vitally important topic? 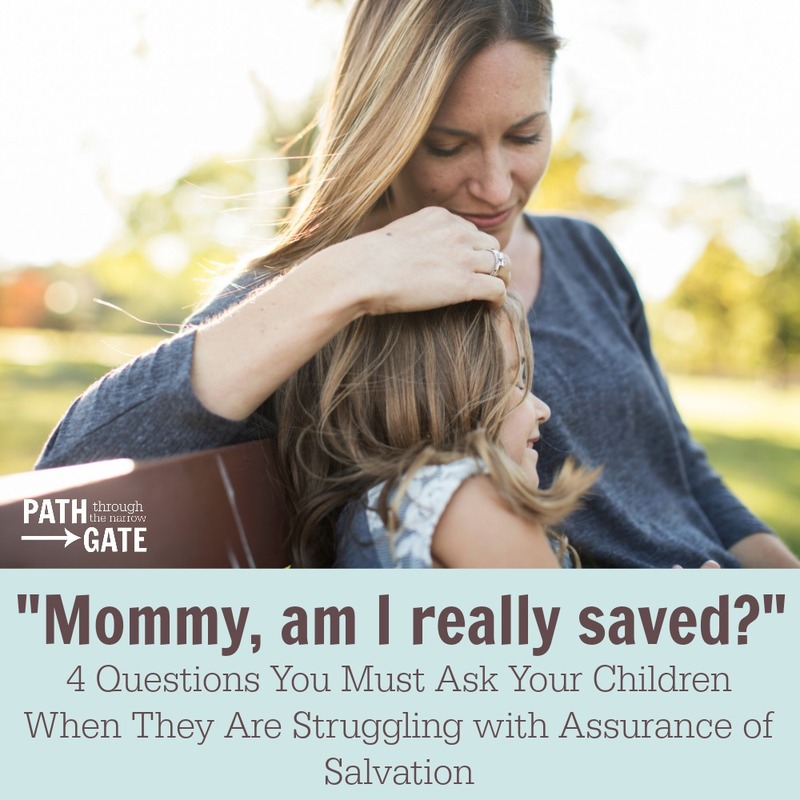 Here are four questions to ask ourselves and our children when we are struggling with assurance of salvation. These questions are simple enough for young children to answer, and yet difficult enough to make adults think twice about what they truly believe. Do you believe that He lived a perfect life and that He died for your sins? Do you believe that He can save you from your sins and change your heart? Are you struggling with believing? We are saved by Jesus’ work for us on the cross, not by our own works. We can never live lives that are “good enough” to get us into heaven. However, if we truly believe in Jesus, we will want to obey Him. When we are not walking in obedience, we will struggle with not knowing whether we are truly saved. If we do not obey God and do not care, it is possible that we are not really saved. Even after we are saved, we are still sinful people living in a sinful world. We will always struggle with obedience. We will never obey perfectly. However, we should be growing in obedience, desiring to obey God. God has given us the Holy Spirit to help us to obey. Are you growing in obedience? 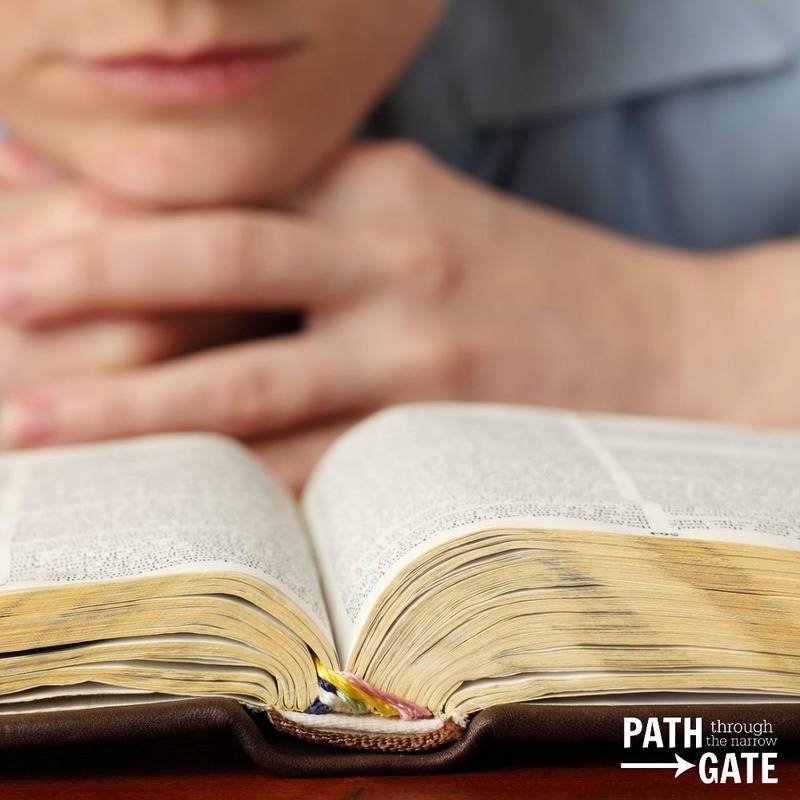 Do you long to obey God’s Words? Are you asking the Holy Spirit to help you to become obedient? Are you struggling with Obedience? 3. Are You Repenting of Your Sins? Repentance of sins is more than just being sorry that we have done something wrong. When we repent, we acknowledge that we have disobeyed God and we turn away from that sin. When we truly repent, we don’t want that sin to have any more strength in our lives. For example, if we are struggling with the sin of anger, we turn that anger over to God and ask Him to remove it from our lives. We agree with God that we have no right to be angry with the people around us because God has shown mercy to us. When we feel the sin of anger coming over us, we fight the sin by asking the Holy Spirit to help us, refusing to let that sin dominate our minds and control us. Are you ready to turn away from your sins, with God’s help? Are you struggling with repentance? 4. Do you love God? Do you love God and desire to serve Him? Do you want Him to rule in your life? Are you excited about spending an eternity with Him in heaven? Are you struggling with loving God? It is hard to love someone you don’t know. If you find yourself struggling with loving God, ask Him to fill you with His Holy Spirit and to help you. Then, seek Him in His Word. Get to know Him through the pages of the Bible. As you do this, God may convict you that you are loving the things of this world rather than Him. Be willing to turn away from the things of the world in order to grow in love for God. If your kids are struggling with doubts about their salvation, ask them these questions: Do you believe in Jesus? Are you obeying God? Are you repenting of your sins? Do you love God? Honest answers to these questions will help our kids and us to know how we are doing spiritually. What do you think? Are these questions helpful? I would love to hear your thoughts. Please scroll down to comment.